An End Portal allows the player to go from the Over World to the End. You can only make an End Portal in Minecraft in creative mode, or with mods. The ingredients needed to make it is 12 End Portal Frames and 12 Eye Of Ender. The player will first need to place each End Portal Frames into a 5×5 box without any corners. 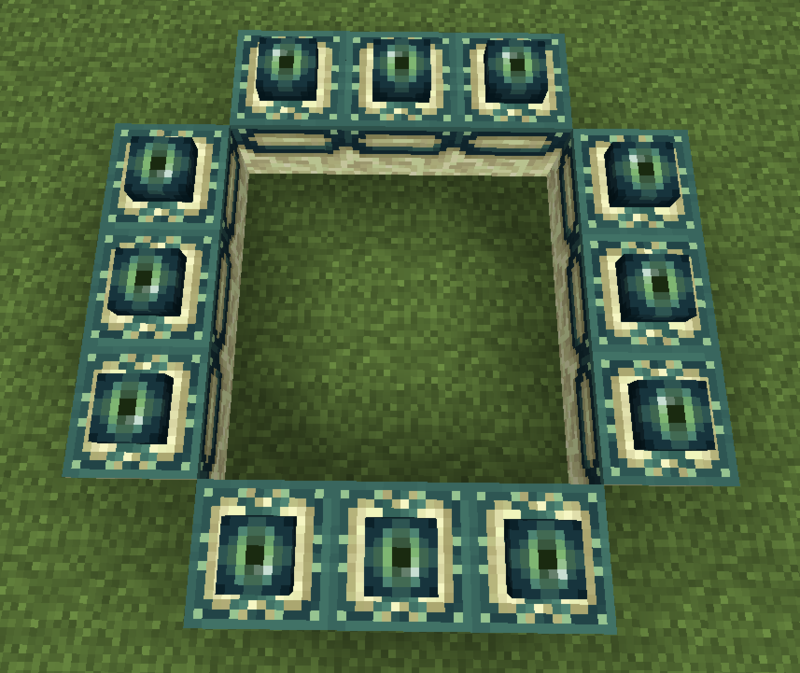 Once that is setup, each frame will need an Eye Of Ender set on top of each of them. Once this is complete the End Portal will start up. The player is now able to teleport to the End. 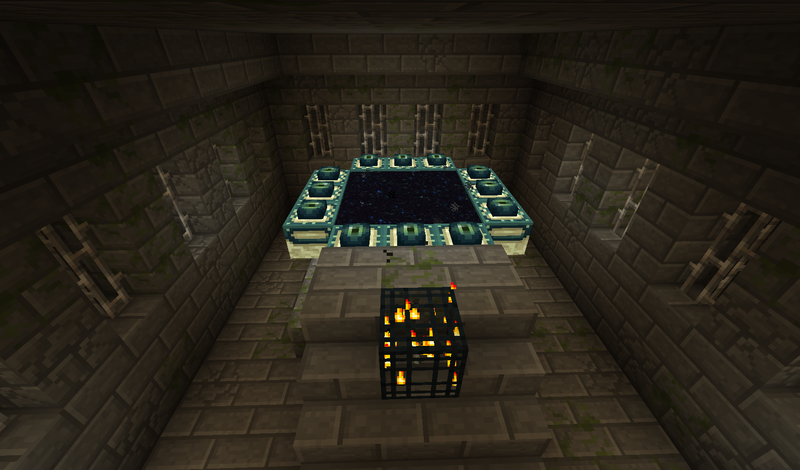 Now that you have learned how to make an End Portal, it can also be found in survival mode within Strongholds. The stronghold can be found by right clicking a Eye Of Ender in the sky. The Eye Of Ender will move toward the stronghold slowly and then drop on the ground for you to pick back up again. Once you have found the End Portal you will need to add the Eye Of Ender to each of the frames just like in creative mode. The End contains the Mobs Boss Ender Dragon.